the past saturday we wanted to go skiing. when we arrived in adelboden at 20 past 9 in the morning we were informed that the whole ski-region is closed because of the guggiföhn (a wind with velocities up to 246 km/h). we then waited for more informations, but around 10:30 it was evident that the chairlifts and cablecars won’t open for the day. we then decided to switch to the engstligenalp, but it turned out that the föhn was blowing there, too. before we drove to grindelwald we first called them, and indeed, they were closed, too. 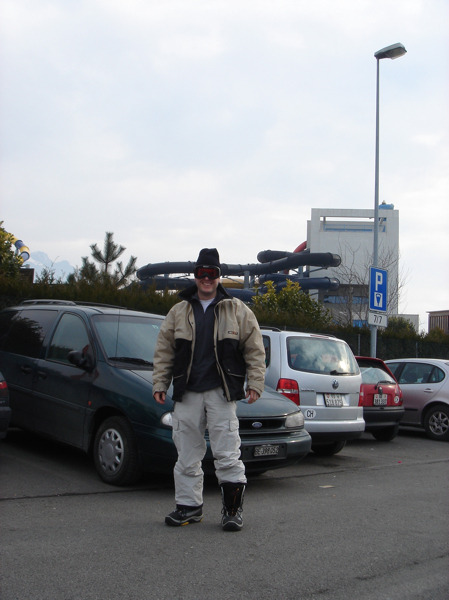 so after a short debate we decided to do something really silly, namely drive from frutigen to le bouveret into the aquaparc, without changing any clothes and leaving ski equipement for five persons in the car. in the end it was also rather funny, but a skiing day would have been more welcome.